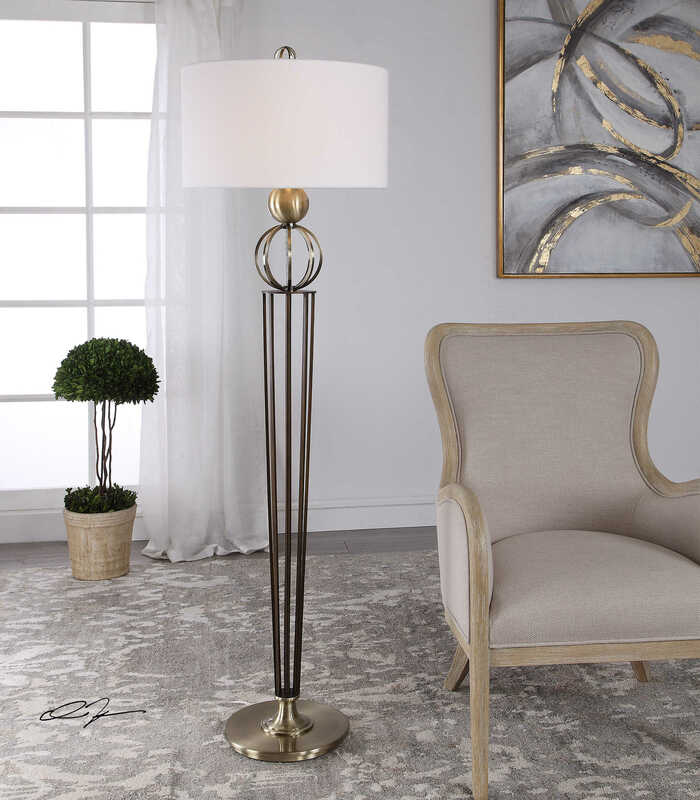 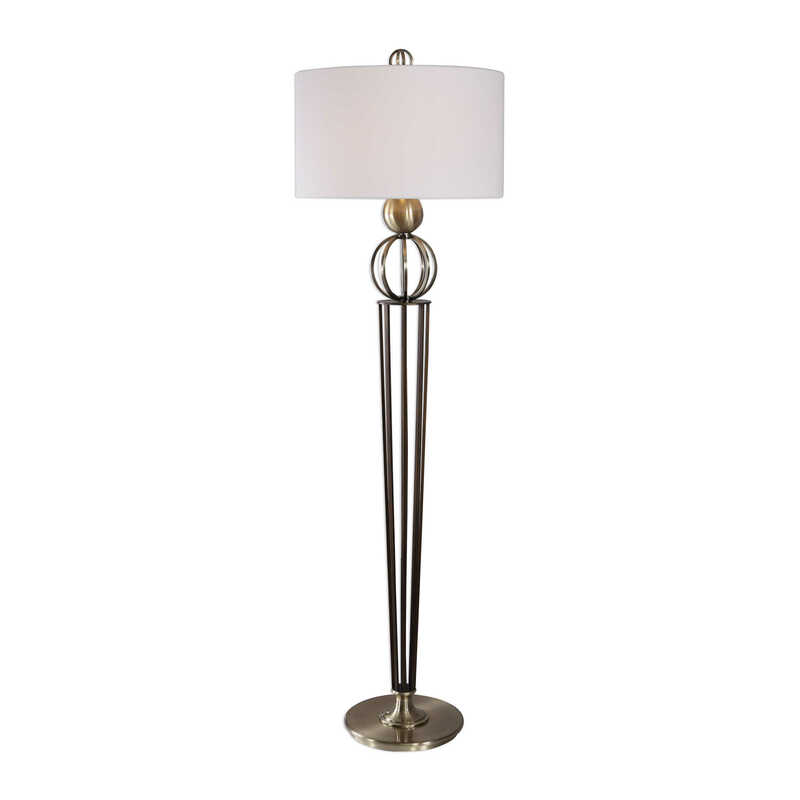 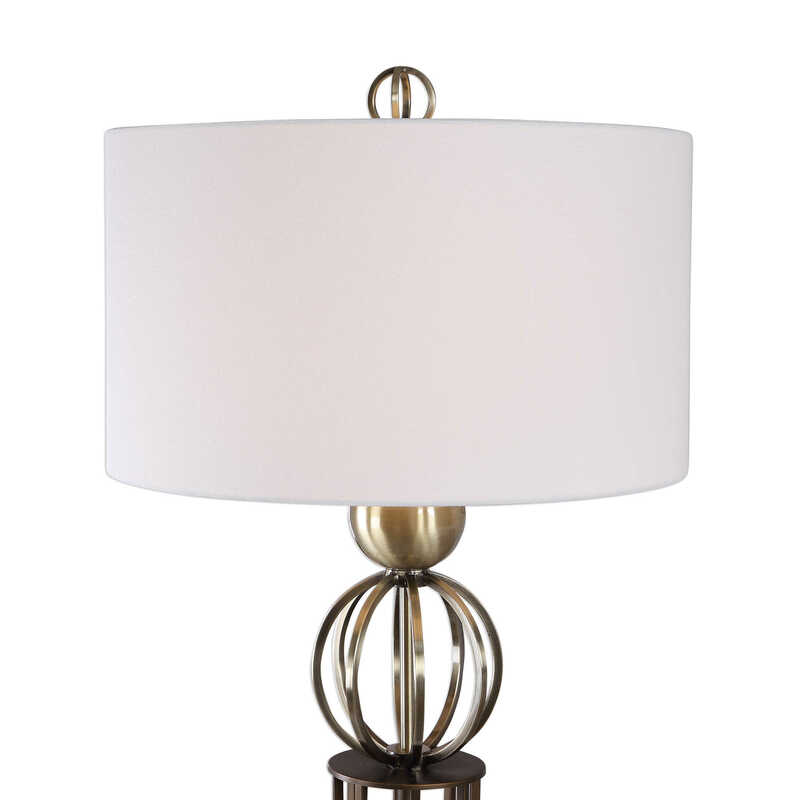 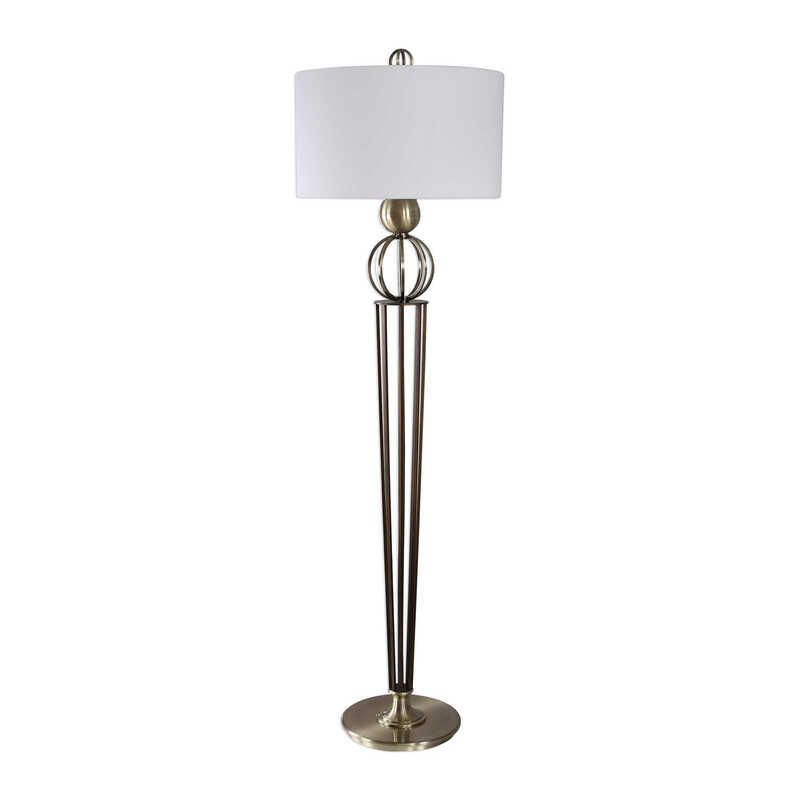 Elegant, clean lines are used in this open-profile floor lamp design. 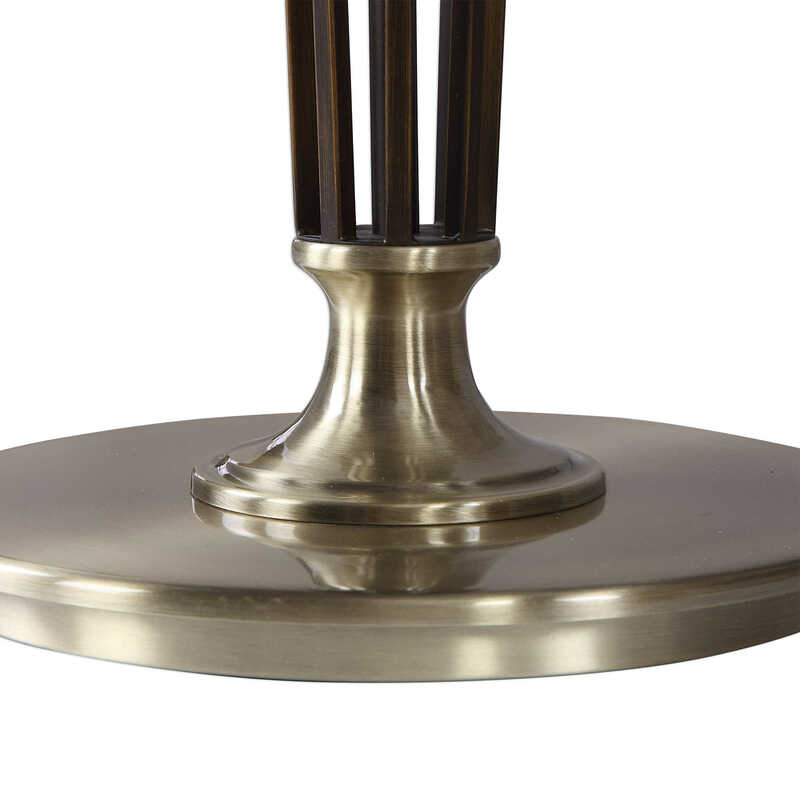 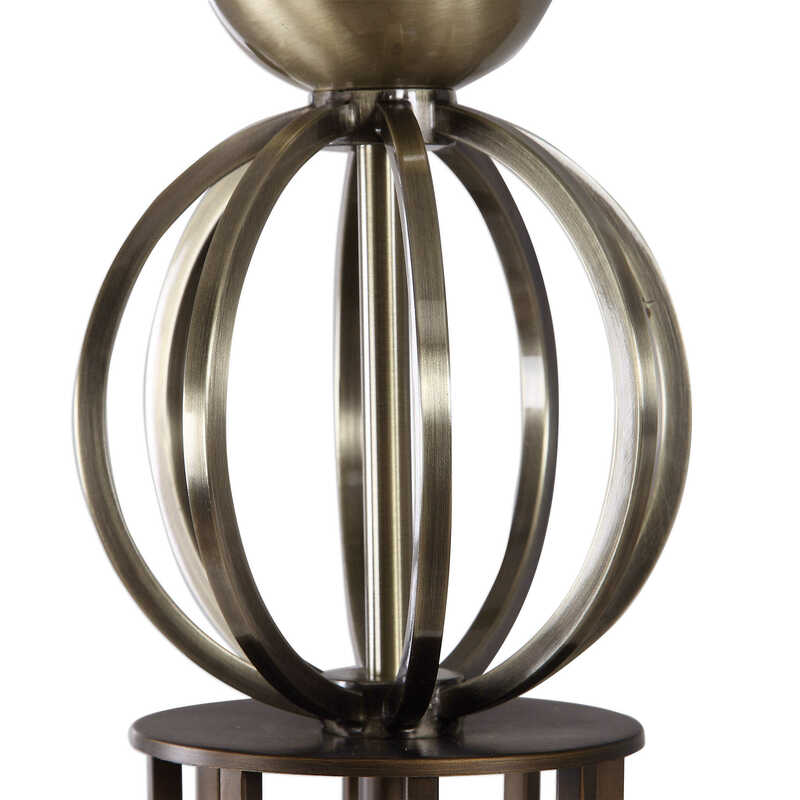 Stacked spherical accents are finished in a plated antique brass, displayed on black iron rods. 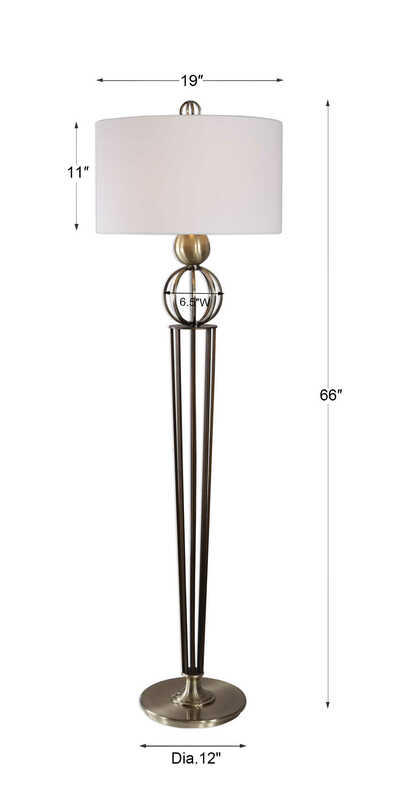 This simple design creates a versatile piece that is easy to place in various design styles. 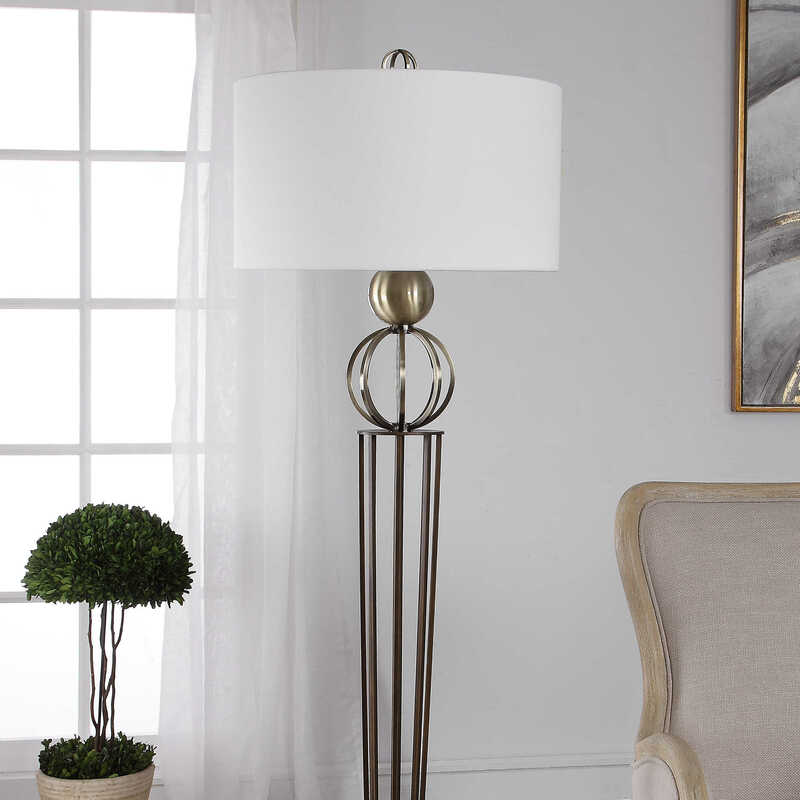 A white linen hardback drum shade completes this piece.